Native to China, Litsea cubeba is also called “May Chang,” and has been used traditionally to treat asthma, back pain, and digestive ailments. Because of its natural properties, it can minimize the appearance of pores and help with oily skin. 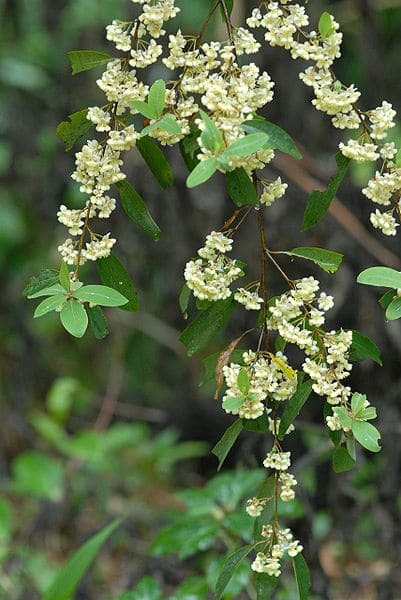 An evergreen shrub that grows to about 16-26 feet high, Litsea cubeba has a smooth trunk about 3-8 inches in diameter, and bears white or pale yellow flowers. Also called “mountain pepper,” it produces a fruit that is processed for the pale yellow, lemony essential oil. The fruits are small and similar in shape to peppers, from which the word “cubeb” is derived. They start out green, then turn red and dark brown when they get ripe. Though oil is extracted from the tree’s flowers, branches, bark, roots, and leaves, the oil from the fruit is most commonly used in aromatherapy and skin care. Traditionally used in Chinese herbal medicine, Litsea helped people deal with digestive issues, headaches, muscle aches and pains, and chills. In aromatherapy, Litsea is used to increase mental functioning and attention, and to help calm and soothe. The main benefit of Litsea to the skin is its ability to help with oily skin. It has gentle properties that help cleanse and reduce the appearance of pores. These same properties plus the nice, citrus scent also make Litsea a good ingredient in natural deodorants. You can also add a few drops to your regular body lotion and use for an all-over fragrance or underarm deodorant without the toxic chemicals. We love Litsea’s natural ability to help with oily skin. Try it in our Herbal Facial Oil for Oily Skin and let us know if it works for you. Do you use Litsea? Please share your tips.